Kick-off forms are used for fields that are required before a process can start. An example is when a client or employee's name, email and ID is required at the start of the process, in order to proceed with the process related to the client/employee. Save the blueprint and start a process. You will see the fields ready for you to complete at the start of the process. How do I complete the form fields within a process task via the API? 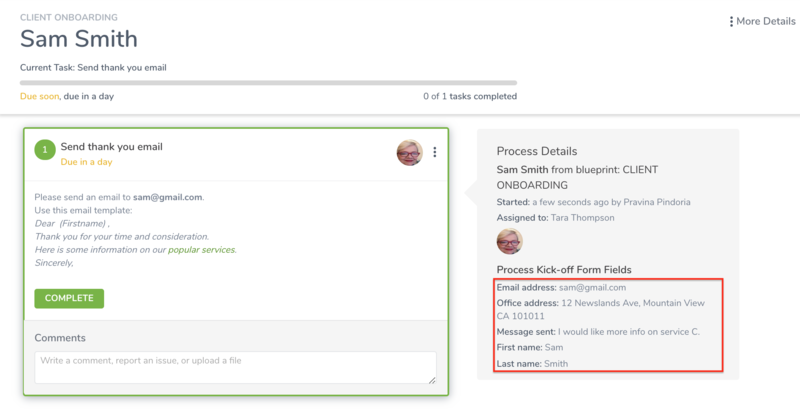 How do I populate forms in Tallyfy using Zapier?